I usually follow recipes as exactly as they come. That's what I like about cooking: there's a recipe and you follow it. But sometimes, I decide not to follow it exactly and see what happens. This was one of those times. I had found this great recipe and was going to use it, but laziness and not wanting to clean out another food processor overcame me. I absolutely loved this pasta. 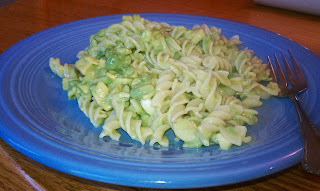 I know it may look a little strange (we have to remember that avocado is green...), but it tasted so good and so creamy- without any cream. Bring a medium-sized pot of water to a boil and cook the pasta for 8 minutes. 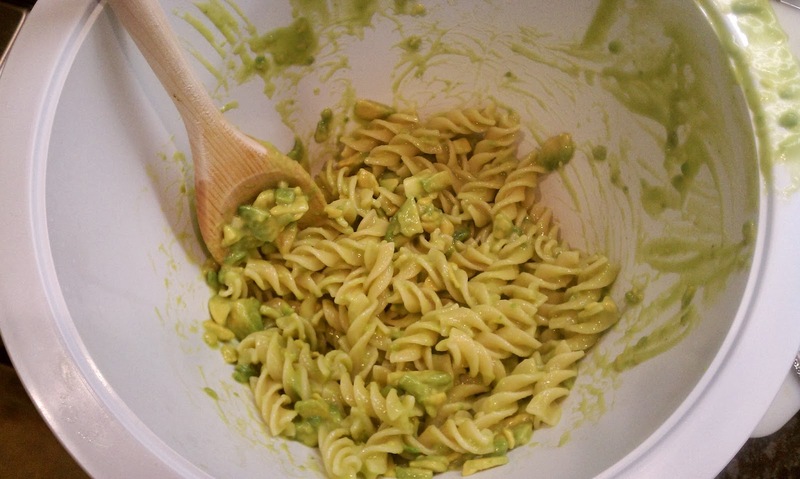 While the pasta is cooking, take the pitted avocado and chop into little, tiny pieces, and place in a mixing bowl. Chop and smash the garlic and add to mixture. Add the salt and the oil, then stir with a large wooden spoon until well-combined. This will create a chunky, but still delicious mixture. For a smoother sauce, place all ingredients in a food processor and pulse until chopped. After pasta is cooked, drain and rinse and add to the mixing bowl with the mixture. 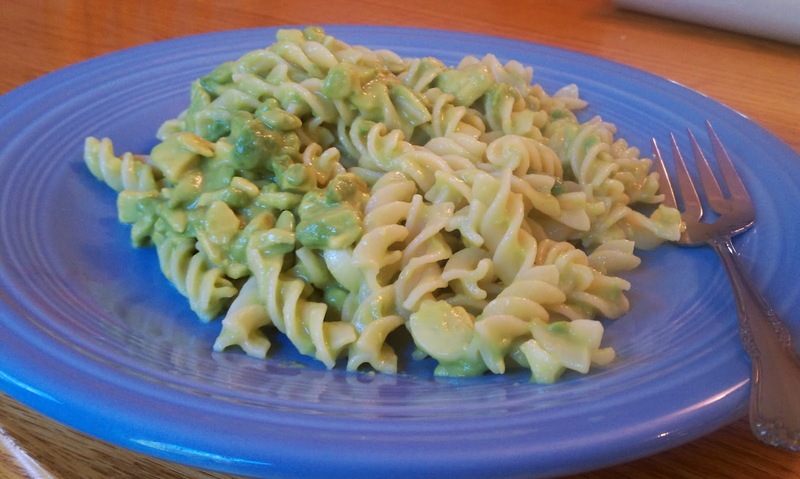 Stir together and enjoy your creamy avocado pasta! Hopefully you'll obsess over this as much as I did! Hey(: Do you have any posts on vegetarian meals, or tips for becoming a vegetarian? I'm wanting to give it a try, i just need somewhere to start. 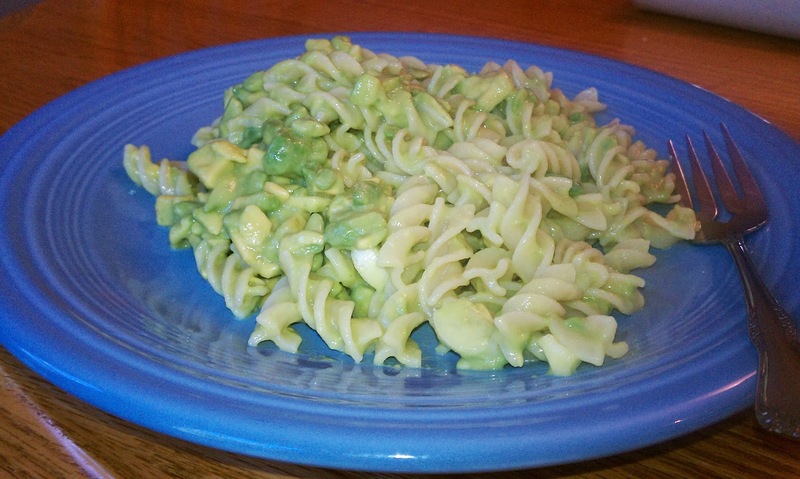 I LOVE your avocado posts by the way, so delicious! Thank you so much! I wrote a post once about how I became a vegetarian with some tips, I hope it helps! I'm hoping to post some more vegetarian recipes because I hope everyone can try to eliminate at least some meat from their diet. Good luck and let me know how it goes! !